Rather than purely being decorative, whakairo (Māori carvings) each give a unique narrative. The stories passed down through generations explain cultural traditions and tribal history. Traditionally Māori carvers were men; their craft included precious adornments, weapons, tools, musical instruments, canoes and decorative panels and posts for the various buildings within the village. Precious adornments were (and are still) worn as a sign of prestige; they included ear pendants, breast pendants and carved combs worn in the hair. These were made from pounamu (jade or greenstone), whale ivory and whale bone, although other materials, like albatross feathers and sharks teeth, were also incorporated. Pounamu from the South Island is highly prized for its beauty and strength, and is still used for making adornments today. 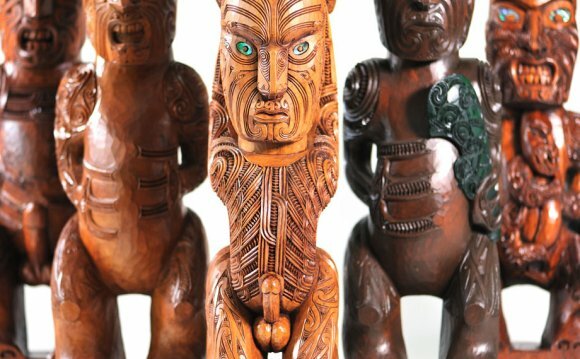 Maori carvings are rich in symbolism and use common patterns, though styles differ between tribes. Symbols include the tiki, which represents the human figure, and the manaia, a creature with bird-like head and serpent-like body, associated with guardianship. Traditional patterns used in carving were often inspired by the natural environment, including spider webs (pungawerewere), fish scales (unaunahi) and the unfurling fronds of the fern (koru).